This great sauce of olive oil and herbs is spicy and delicious. It is best served with gnocchi or wider pasta and highly recommended with homemade mushroom gnocchi. The sauce is recommended to start preparing them for 2 minutes before gnocchi or pasta is ready - it is very quick to make and will be ready to pour straight into hot pasta right from the pot. Olive Oil - Be Generous! Add the garlic and fry for half a minute. 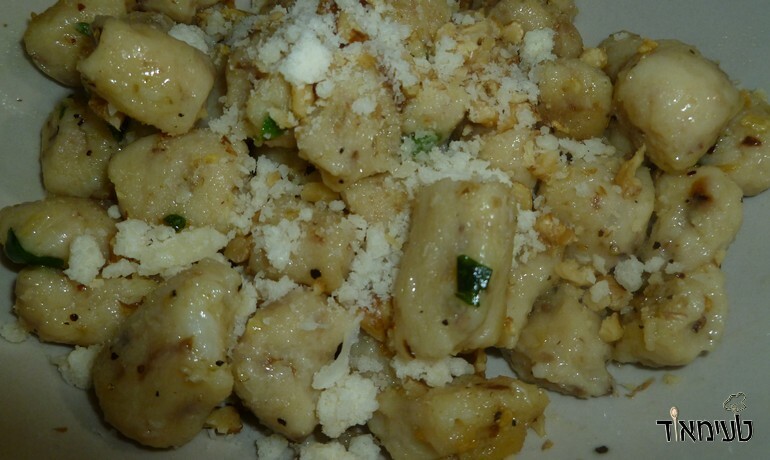 Add the remaining ingredients except walnuts and parmesan cheese. 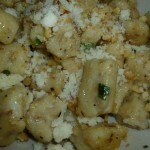 Add the gnocchi or pasta you want and toss until lightly charred and the gnocchi or pasta is covered in sauce all over. Serve and sprinkle with walnuts and parmesan.